People are generally surprised when I tell them that my grower pigs eat adlib for most of their lives. Some think that it is going to cost a lot of money to do it this way. It will cost you a lot more if you under feed your pigs or not give them the appropriate nutrition and cause them to grow slowly. The secret to a successful piggery, whether it is free range or intensive, is to grow your pigs as quickly as you can. Pigs have an incredible ability to grow while they are very young. This growth is generally muscle and bone with minimal fat. Once they hit around the 4 month old mark things change and they start depositing more fat. If a pig is grown on a diet that is too restricted or is lacking in nutrition, muscle development is slow so that when it hits that 4 month mark, it just about stops building muscle and starts laying down fat. Abattoirs will reject this kind of pig. You will just not find a sale for it apart from dog meat. How do I know? I have done it during a very steep learning curve on pig nutrition. How fast is fast? If you are growing porkers you want them ready for market at 17 – 20 weeks of age. This allows for a little longer than the intensive industry because free range pigs will take a bit more time, after all, they are out there running around and burning up energy that would otherwise be used for growth. There is not much research on nutrition for free range pigs. Obviously they have much higher energy requirements than an intensively raised animal because of all the exercise they get and then need to be able to keep themselves warm in an outdoor environment. The upside of that is, they will lay down muscle that the intensive industry can only achieve with the use of growth promoters like Paylean. Ever since mad cow disease outbreaks, there is some fear of the use of meat meal in animal diets. Cattle and sheep are ruminants and were never never meant to eat meat. On the other hand, pigs are omnivores and need to eat meat. The law now forbids the use of meat meal in the feed of ruminants and rightly so, it is allowed for pigs for good reason – they are meat eaters and it is extremely difficult to grow pigs well without it. You could do it with high protein grain supplements but then you would need to add artificial amino acids to replace those available only in meat. I know which option I prefer. How valuable your pasture is in your pigs diet is so difficult to judge. Fodder crops planted especially for grazing will definitely cut down the amount of grain needed to feed the pigs. Native pastures however will not provide much nutrition unless they are managed well and the pigs eat it while it is short and sweet. A good paddock rotation system will be necessary to make the best use of these grasses. I can get a good idea of how the pasture is going by the pigs themselves. My sows come in every day to be fed. When pastures are good they may only bother to come in for grain every second or third day. Even on excellent pasture, I still feed my grower pigs adlib and let them decide what they prefer to eat. It is interesting to see a feeder full of grain but all the pigs are off just grazing. Obviously it does substitute for some grain but I have not found a way to measure exactly how much yet. 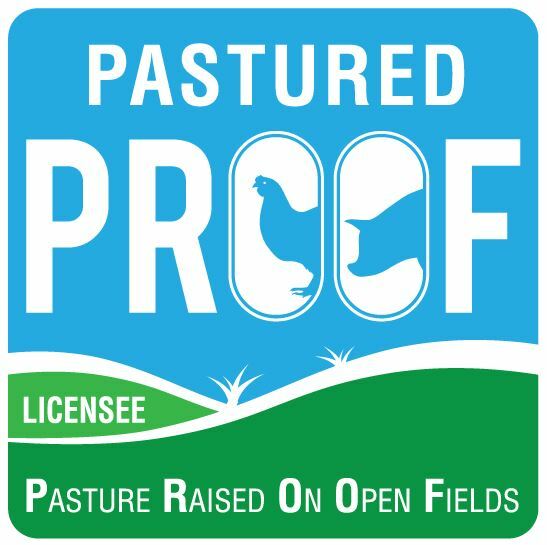 Pasture will of course provide nutrition that is just not available in grains along with fibre and the dirt they consume with it. Health problems a rare here and I believe it’s the access to pasture and a completely balanced diet is what keeps them that way. Mineral licks are very useful for pigs also. Stay away from those designed for cattle and sheep. Never feed anything with Urea in it to pigs. An excellent lick for pigs is the Pat Colby one for those of you that are familiar with it. I leave out the copper though as the pigs can consume large amounts of the lick at times. Feeding pigs is quite a complex business. Pigs will quickly chew through your bank balance unless you take very good care of your feeding regime. Even then, with feed prices skyrocketing at times of drought, profitable pig raising is quite a feat. Free range pigs will always have a little more fat than their factory farmed counterparts. That is due to a bit slower growth, genetics and the fact that certified free range producers do not use hormones, antibiotics and growth promoters. The super lean pigs of the intensive industry are purpose bred and are not productive animals in a natural environment. Older, rare breeds tend to have lower feed conversion efficiencies than more modern breeds and growing pigs outdoors also means that animals use up a lot of energy running around in their paddocks and without temperature controlled sheds, will burn energy keeping themselves warm. This means that free range production is more labour intensive and you will spend more on feeding your pigs. Economies of scale also mean that feed will cost more for the small sized producer with the bulk buying power of the large producers. There are other benefits to counter these cost so take heart. I am often asked if you can raise pigs just on pasture. The simple answer is No. Yes they would survive, but you will never produce a marketable pig, even on the best crop. Sugargraze sorghum for example produces a fast growing pig of excellent flavour but it will be too fat for your market to bare. Amazing eating though! Even when you have good pasture available, make best use of it on an older class of grower pig or for sows. Sows make great use of pasture or crop and it will really help reduce the feed bill. Pigs being finished for market will probably lay down too much fat if grazing a cereal crop. Native grasses however do not seem to have this effect. Another popular question is can I feed whole grain. Whole grain will not be digested well and will be passed undigested through the pig. If you feed grain you will need to process it either by hammer or roller mill. Pig nutrition can be quite tricky so for the beginner I would recommend a pelleted feed. They are readily available at most produce stores and take all the worry out of feeding. You can be pretty sure of a quality pig if you follow the manufacturers feeding advice. As you progress, it is possible to purchase these pellets in bulk 1 tonne bags or deliveries of 3-4 tonne at more economical prices. Riverina or Ridley produce pig feed at a lot of their plants. If you would really prefer to mix your own pig feed, you may have grain available for example, purchase a good quality pig grower concentrate to mix with it to ensure you will be offering the pigs the nutrition they need. Both the companies mentioned above manufacture such an item and most produce stores will stock it. Instructions are supplied on the bag. I cannot stress enough that if you plan to produce pigs for market, you must be prepared to feed them to meet that markets requirements. Using food waste to feed your pigs can be a risky business. It is extremely difficult to judge the feed value of some of these waste products and you could risk producing slow growth and over fat pigs. Be mindful of your market and understand that generally, consumers prefer a leaner pig. I have discussed previously incorrect diet can result in a worthless carcass. If you do have a source of food waste such as bread, fruit or vegetables, you can significantly reduce your feed bill by feeding this to your sows. It is far easier to judge how well the sows are doing on this diet (visually) and make adjustments if their condition seems to be falling. Of course you can offer smaller quantities to your grower pigs, but it should not form the basis of their diet unless you can balance their requirements with the help of an animal nutritionist. Small quantities, especially fruit and vegetables, will improve the flavour of your pork. If you are lucky enough to live near a milk processor, you may have access to waste dairy products. These are usually the flushings from the lines when a production changeover happens. Eg. From chocolate to strawberry milk. Remember, a lot of this waste is water with a very high sugar content. Use this sort of waste as a supplement for all pigs, including weaners. Do not make this food the basis for your pigs diet however. It will be unbalanced and pigs grown out on milk waste only tend to become rangy and the odour from the milk will transfer and affect the taste of the pork. Ensure that weaner pigs are consuming feed other than just milk so they do not develop gut problems. And, make sure you keep the milk containers in a clean and hygienic condition.